Moose Magazine Online - Moose International is happy to announce a more user-friendly version of Moose magazine! Read more for the April/May issue. 2019 Pilgrim Conferral - Hotel information for those attending Pilgrim Conferral or Mooseheart Graduation. Read more for details. 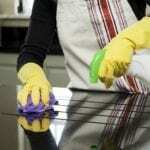 Spring Cleaning Your Lodge - Check out these tips and tricks to help you spring clean your lodge, both inside and out. Read more for details. Supreme Council Urges Policy Change - Elimination of smoking offers greater hope for the future. To read the full version of this Moose Magazine feature, click read more. Story Submissions - Tell us about the good work of your Lodge/Chapter for the chance to be featured on the Moose International website or the Heard of Moose? Facebook page! 2019 Fun Night / 25-Club Entertainment Announced - The feature for this year's Fun Night / 25-Club entertainment during the Las Vegas Convention has just been announced! Read more for details. 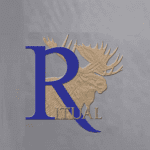 Ritual Competition Registration - Registration for the Lodge and Moose Legion Ritual Competitions are now open. Read more for details. 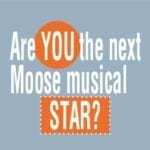 2019 Karaoke Contest Information - Are you the next Moose musical star? Read more for details about this year's Karaoke Contest.